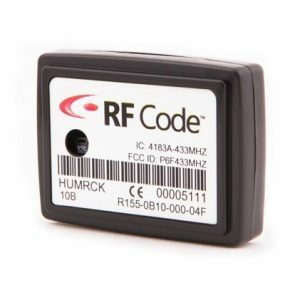 The Watchdog 1250 provides web-based remote surveillance of temperature, relative humidity, dew point, airflow, light, sound and additional sensors connected to the unit. It comes equipped with an LCD display with scrolling measurements and a built-in audible alarm. 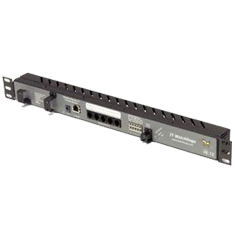 It is especially useful for monitoring environmental conditions in critical applications such as data centers, server rooms, network closets or other critical facilities. Easily view and log temperature, relative humidity, dew point, airflow, light, sound and more over the intranet or the web. No software required – securely access the graphical user interface from a web browser. Power adapter included. 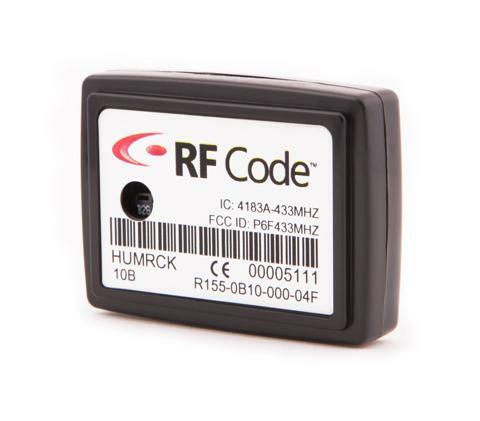 Supports both digital and analog sensors. The appliance serves active web pages displaying real time readings and graphs of temperature, humidity and dew point in addition to data logs in standard format (downloadable as XML or CSV file). Graphing scales are fully adjustable. The web page interfaces up to four IP cameras (not included), allowing a quick view of remote conditions, which is especially useful in event of alarm. 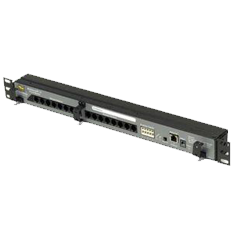 19” Rack-mount, 1-U space (17″ wide with two 1″ brackets, total of 19″ wide, 1.5″ high and 1 5/8″ deep).